Any business must guard against loss due to theft. A century ago, business security primarily consisted of large locks and safes; however, systems are much more complex today. With the advent of ecommerce, business security now includes data encryption and backup. Security systems have progressed into the digital realm, but physical businesses still need to guard against physical threats. For companies with a physical location, there are three basic components to a business security system: access control, alarms and surveillance. Access control is the first line of defense in a business security system. It determines who is allowed access and who is not. The most basic form of access control, which everyone uses both at home and work, is the lock and key. Intruders are barred from entering by locks, while keys allow permitted personnel to pass through easily. Access control has come a long way since the first key was created. Many businesses rely on digital keys today. The retina scanners FBI agents use in movies is typically beyond a standard business’ security needs. Yet, less sophisticated forms of digital keys are often used. Keys might contain computer chips. Many larger companies swipe card-shaped keys at doorways or enter codes on a keypad. The mode and expense of access control used in any given business security system will depend upon that specific business’ needs. A small retail store might only need a lock. In contrast, a large corporation might use cards, which can be programmed for different levels of access. A larger company also might use keypads or cards to control parking, whereas a small store does not have that need. No matter how secure a security system’s access control is, there are weak points. Alarms are for when those points are penetrated. They sound when someone gains entry to a place they should not be, thus alerting officials to the intruder, and inducing panic in the intruder. Alarms can be set up to detect burglars and vandals, or an employee who simply used the wrong exit after his shift. Every alarm system has a control panel. This is typically located on the roof or in a centrally-located closet. The control panel connects the alarm system on site with its monitoring service. Another essential component of an alarm system, key pads allow people onsite to control the alarm system. After being given the proper codes, employees can arm and disarm the system. Most configurations allow employees to secretly activate the alarm, in the event of an emergency. Door and window contacts are the devices used by an alarm system to detect whether an entry point is open or closed. These help employees make sure all the doors and windows are closed at the end of the day, and they will activate the alarm if anyone breaks in by opening a door or window. Door and window contacts are the most common method of detecting intruders, but they are useless against a burglar who enters by breaking a window. A window could be broken, and its contact could never be affected. However, a glass break sensor will detect the sound of breaking glass and activate the alarm. Since these sensors work by detecting sound waves, one can monitor many windows. Motion detectors are a final line of defense. If properly placed, they will detect anyone moving about inside a building. Almost all intruders will be detected by contacts or sensors. Motion detectors are primarily for anyone who might want to remain inside a building or room after close, then coming out when no one else is present. If an alarm system is activated, it will alert the monitoring service. The monitoring service will then alert local authorities, who will respond to the call. In the meantime, which might be anywhere from a few seconds to a few minutes, sirens and strobe lights can be used to alert anyone nearby. Sirens and strobe lights are meant to induce panic into any intruder and alert anyone in the vicinity to the potential danger. The above list contains the components that are standard in most alarm systems. The selections listed below are optional. They will increase the cost of an alarm system, but they also provide additional security. Depending upon a given business’ security needs, these might be wise selections or superfluous expenses. Alarm systems communicate with their respective monitoring services via a phone line, and intruders often attempt to sever communication by cutting the phone line. If the phone line is cut, a basic alarm system is rendered useless, aside from any sirens or lights. To guard against this, many businesses opt to have a backup system of communication. This can be via a cable line, but using cell phone towers is more common. A cellular connection cannot be cut, so these are the most secure backup systems. Once activated, a basic keypad simply alerts the monitoring service, which then sends the responding local authorities. Two-way keypads, however, allow the monitoring service to communicate directly with people on site. This allows the monitoring service to determine if there is an emergency, or if the alarm was triggered accidently. They also can clarify the nature of the emergency and send the appropriate responders. A log of when the alarm was armed and disarmed can help business owners and managers monitor illicit employee actions. Logs often include who performed the action, as well as the date and time the action was performed. Business owners can also select an option that will notify a supervisor if the alarm is not armed. Surveillance is the final component of any business security system. A surveillance system is a configuration of video cameras and recorders, which together monitor the activities that take place. Surveillance systems can be as simple as a single camera, or they can contain many cameras that are actively monitored by staff. 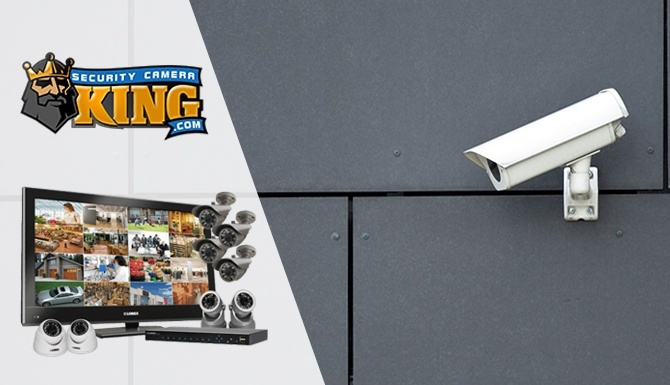 There are several aspects of a surveillance system business owners must consider, before selecting cameras and recorders. Large cameras are primarily used to deter theft and vandalism. They are often prominently placed, so people see them. When burglars and vandals see these cameras, they will reconsider their actions. When innocent people notice these large cameras, they will feel more secure. Dummy cameras serve the same purpose as large cameras: they deter theft and vandalism, while increasing the sense of security. However, these cameras do not actually record. They are merely props. Some businesses add these to their security system, because they provide an inexpensive method of increasing security slightly. Small cameras are usually placed in inconspicuous places. They are less noticeable, and often have a dome that prevents people from knowing which way the camera is pointing. These are primarily used for evidence after a vandalism or theft. If they are intended for this purpose, business owners must make sure they can provide a high quality picture. Several factors influence the quality of a camera’s image. Is a color image needed, or is a grayscale picture acceptable? Will the camera be recording only in a lit area, or does it need to function at night? Is a high resolution needed for zooming, or are broad, low-resolution images adequate? The purpose of the camera will determine the quality of the image that is required. 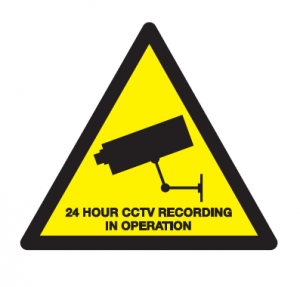 Most businesses have their surveillance system’s recordings kept on site. They are typically stored in a safe-like device, which prevents people from stealing the recordings. Yet, large corporations might want to keep their recordings in a central office. This can help centralize a security system. Depending upon a camera’s location and purpose, a business security system might need a fixed camera or a flexible one. Fixed cameras can only view a specific area. These are typically larger cameras. Smaller cameras, which are used for evidence gathering, however, are often flexible. That is, these cameras can zoom, pan and tilt. In a monitored system, these offer more control and surveillance. Some businesses choose a monitored system, while others view this as an unnecessary expense. Monitored systems cost more, because a watchman must be paid to monitor the cameras. However, this provides a higher level of security. 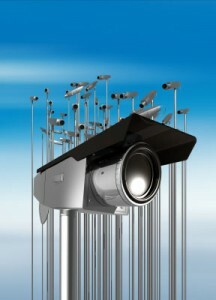 Monitored systems are primarily used with non-fixed cameras, so the guard can pan and zoom. After considering all of the components and aspects of a business surveillance system, business owners and managers will be ready to select the configuration that best meets their needs and budget. 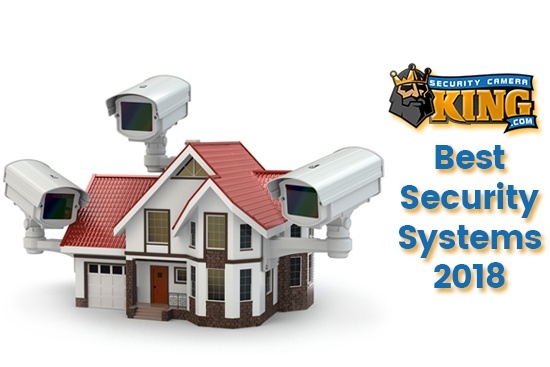 A security system can be used to provide safety, deter theft and meet insurance requirements. The best business security system will provide access control, have an alarm system and monitor people via a surveillance system.